Check out my piece on Elephant Journal! March is almost through, and I am wishing you all a lovely end to it. Happy Passover, Easter, Spring...to all! I just had a few things I wanted to share today before April approaches. Checka and I have had 2 successful workshops in the Boston area over the last month together in preparation for this retreat and we are staying positive and excited that this trip will happen. Help me out and share it to people who might be interested. Or feel free to post the link on any message boards or work groups that you feel would generate interest. And if YOU yourself are considering...don't hesitate to contact me with any questions over the next week or so and I'd be absolutely delighted to have you sign up. Thank you, thank you. ***Finally, tomorrow (Wednesday evening) is my 6:00 flow at Karma-Harvard and my last class until the same time next week. Then I am off to Philly for the long holiday weekend with my Pici side of the family. It will be the Full Moon in Libra, so I hope to provide a calming space for many of you to come shake out your stuff. SO. Much. LOVE. to all of you and I look forward to the Spring! You can always find updated sub news and events on my facebook page. I'm still cruising with my usual classes of Tuesday 9:30am at Bow Street Yoga (come, come and then have coffee/tea with me post-class! ), Wednesdays at 6:00 at Karma-Harvard, Sundays at 10:15 (hatha) and 11:45 at Karma. 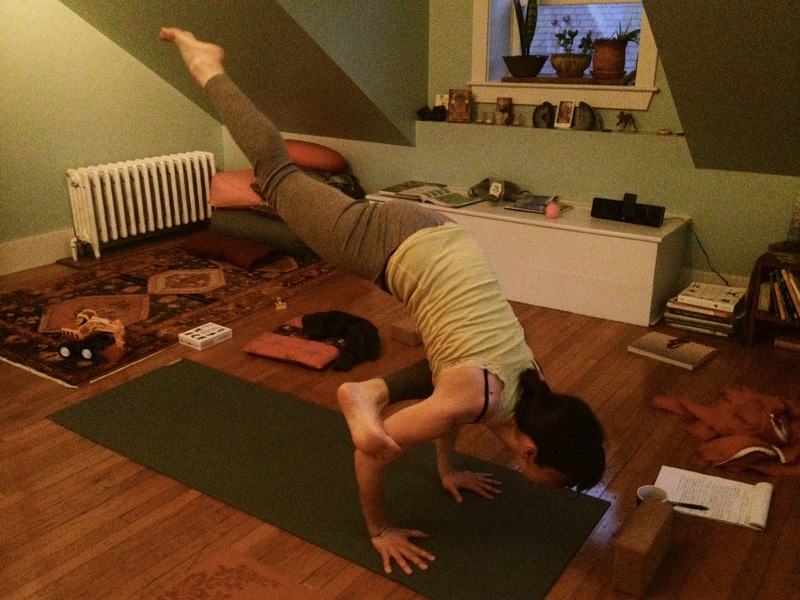 Sunday, March 10th, An Li will sub for my 11:45 vinyasa, as I'll have to scoot out to a workshop with my favorite teacher who will be in town. The brilliant, Elena Brower. Maybe some of you will come to that, too? It's taking place at the Cambridge Masonic Hall from 12-3pm and I promise it will dig in to your psyche and heart. Tuesday, March 12th is Isak's 2nd birthday! That's all. ;) I plan to be celebrating around town with him all of next week for it. Saturday, March 16th is my next monthly Yoga for Mamas private session in my home. As of this moment, it is FULL. But message me ASAP if you'd like to be on the waitlist in case someone cancels. *Speaking of mamas...I am going to be starting a new round of spring private Prenatal Yoga sessions. If anyone is interested in joining in, let me know! I can fit a few more mamas-to-be for a once a week or bi-weekly session. Sunday, March 24th, I again, will have to scoot out after my 10:15 class to make it to Quincy on time for my 2nd workshop with Checka. So, Rachel Barringer will sub the 11:45 that morning. Speaking of Checka, we had a super successful/fun time with our first workshop this month at Karma. If you missed it, you have another chance to head to Quincy for another offering of our Unwind and Uplift special class. It's from 1:30-4:00 and is $35. With inspiration from and for our upcoming retreat, we created a solid 2 1/2 hours of fantastic yoga set to fresh tunes and energy. Oh yeah. I'll kick it off with 30 minutes of hip-opening Yin yoga, then gradually move us into a 75 min. vinyasa practice, where Checka will take over half way through. And then she will end the class with 35-40 min. of restorative yoga, including a long savasana. When the other isn't teaching, she will be assisting or providing Reiki energy around the room. Our first batch of students in Cambridge raved for days about how great they felt post-class. Checka and I are thrilled! And then I will have a sub on Tuesday, April 2nd for my 9:30 Bow Street Class, as we will be returning that day. Phew! Busy month ahead, but with lots of fun things, so I'm excited! Plus, I'm starting to teach a yoga mentorship series with Strong Women, Strong Girls in Somerville. I'll be teaching 20-30 minutes of confidence boosting yoga to teenage girls around my town this month. Super excited. And with that, thank you to all who came or donated to my V-DAY class. I hope to do it every year from here on out! And, my all-time fave, Sigur Ros is coming! Any of you going?! The concert is Tuesday, 3/26 at BU arena. Plus, it will officially turn Spring on 3/20! I look forward to helping you all continue to ease into the transition of a new season both in person and on my website, blog, and instagram (under jennpfalk)! My Body/Soul Recharge workshop will be in April, so stay tuned. Wherever you find yourself this month, be loving towards yourself so you can move out of winter with as much ease as possible. And maybe do something to make you feel fresh... I got a new asymmetrical haircut! Very soon it is time to emerge!